Macalester snapped the Gustavus women's basketball team's six-game winning-streak with a 59-47 win on Monday night in St. Paul. Molly Geske led the Gusties with 12 points, as Gustavus falls 10-6 in the MIAC and 11-8 overall. The Gustavus men’s and women’s nordic ski teams concluded competition at the U.S. Ski Association Michigan Tech Super Tour on Sunday in Houghton, Mich. with a trio of promising performances as the team prepares for the upcoming Central Collegiate Ski Association Championships. The Gusties wrapped up the two-day long NCAA Qualifier with Jens Brabbit sitting out for the second consecutive day. The Gustavus men’s and women’s nordic ski teams competed in the St. Olaf Invitational on Saturday afternoon, with the Gustie women finishing second and the men taking home the title. The invitational was held at Theodore Wirth Park in St. Paul, Minn., and featured a handful of alums from the three schools participating in the event. The Gustavus men’s and women’s nordic ski teams each featured one skier on the course Saturday at the U.S. Ski Association Michigan Tech Super Tour being held in Houghton, Mich. The two-day event serves as the final NCAA Qualifier before the Central Collegiate Ski Association Championships, which will be held February 12th and 13th in Marquette, Mich. Injury and illness reduced the number of Gustie skiers participating at the event in half, as Erica Hett and Jens Brabbit sat out Saturday’s race. The Gustavus women's basketball team defeated Concordia 59-53 on Saturday afternoon in Moorhead, Minn., earning Head Coach Mickey Haller her 200th career victory. 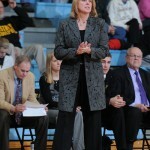 The Gusties currently the hottest team in the MIAC with a five-game winning-streak under their belt. Gustavus improves to 11-7 overall and 10-5 in the MIAC with the victory, while the Cobbers fall to 13-5 overall and 11-4 in the MIAC. The Gustavus women’s hockey team skated to a 1-1 tie with St. Catherine on Saturday afternoon at Don Roberts Ice Rink in St. Peter. 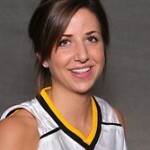 Gracie Olson scored the lone Gustie goal. The Gustavus men's basketball team opened up a double-digit lead midway through the first half and never looked back on its way to a convincing 82-71 win at Concordia on Saturday afternoon. 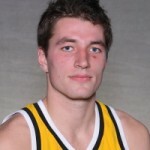 Phil Wirtjes and James Hill were the difference for the Gusties as Hill tallied a game-high 23 points, while Wirtjes contributed 20 points on 8-of-12 shooting from the field. The Gustavus women’s swimming and diving team fell 149.5-91.5 to MSU-Mankato on Senior Night in the Lund Natatorium Friday. 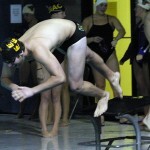 The Gusties recorded five individual event wins and 15 top-three finishes at the meet. The Gustavus men’s swimming and diving team suffered a 133-108 loss to MSU-Mankato in its final home meet of the season on Senior Night in the Lund Natatorium. 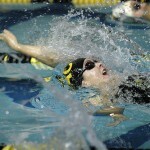 The Gusties registered 17 top-three finishes, four of which were in event wins, at the meet. The Gustavus women's hockey team fell to 10-3-1 overall and 7-2-0 in MIAC play with a 2-1 loss to St. Kate's at Ridder Arena in Minneapolis on Friday night.